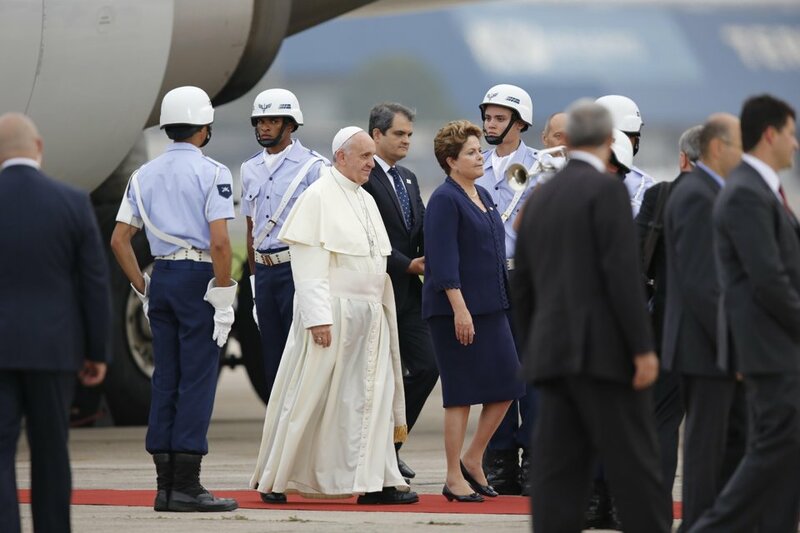 Pope Francis has just arrived in Brazil and was greeting by millions. He chose to leave the traditional bullet proof "Popemobile" back in Rome and chose an open jeep instead. While traveling via motorcade, his vehicle was swarmed by mobs of people trying to get a glimpse and handshake from the Pontiff who had his window open. Security forces wrestled with people as they stormed the vehicle. The Pope even got stuck in traffic which must have been a nightmare for security. Nevertheless, all went well and the Pontiff arrived safely to the official welcoming ceremony. Prior to his arrival in Brazil, the military found a homemade explosive at the Shrine of Our Lady of Aparecida. The bomb was destroyed. The Duchess of Cambridge gives Birth. Kate Middleton has just given birth to an 8 lb boy. Those who are fond of the British monarchy have been waiting in anticipation for the news. Many are gathered outside of the hospital as well as at Buckingham palace celebrating the occasion. The name of the boy has not yet been revealed.